Noble children were often betrothed in infancy. A Princeton professor, Lawrence Stone, stated these betrothals were contracts “by which children were bartered like cattle” (Searle). These marriage contracts were usually orchestrated to the political or monetary advantage of the father, whose feelings toward his own children would be emotional detachment at best (Searle). Wealth and status were the deciding factor in complicated transactions of betrothal and marriage, and age was largely irrelevant (Peakman). 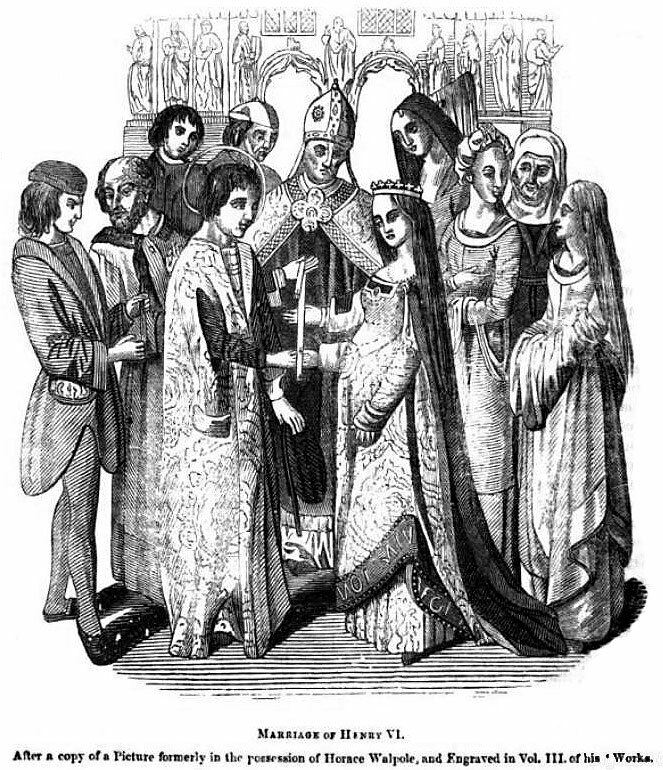 An example of these ‘transactions’ is seen in the marriage of Richard Neville and Anne Beauchamp (daughter of the Earl of Warwick). The future Earl was married when he was only six years old (Peakman). Not only did a woman have no choice of whom she married, but once married she came under her husband’s control and she was not allowed to divorce him (Medieval Women). It was taught that it was a woman’s religious duty and the will of God to defer to her husband: “Wives, submit yourselves unto your own husbands, as it is fit in the Lord” (Peakman, Colossians 3:18). While the life of a peasant was undeniably more difficult, those that were lower on the social ladder had much more freedom to love and court whomever they chose (Peakman). Poor peasant women generally did not marry until much later than those of the upper class; as young children they began working to help provide for their families, and marriage would deprive poor peasants of a much needed worker (Medieval Women). Love was a much more public affair in the lower classes. When a peasant woman did reach an appropriate age for courtship, she would most likely court a young man from the same village and would do so publicly (Medieval Women). The couple would usually meet at markets and festivals, and according to recorded ballads the woman would be wooed with gifts of food, money and clothes (Peakman). Marriage was simple and life was hard, but it seemed that the poor really could marry for love. Holy Bible: King James Version. United States: 1979, p. 1496. Print. Peakman, Julie. “Poise and Passion in the Middle Ages.” History Today 61.8 (2011): p 36-41. Academic Search Premier. Web. 14 Apr 2012.